Today will be a long day. 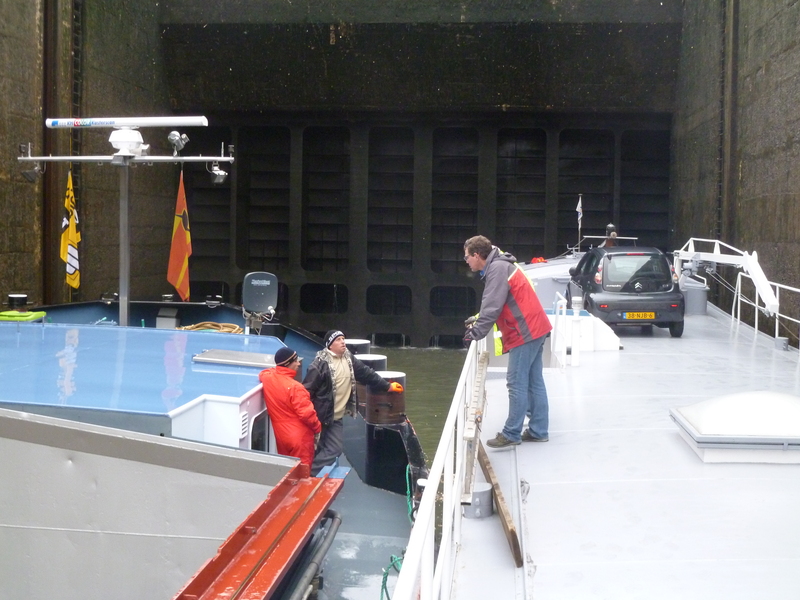 We left the dock at 7:00am and Wilco is talking about going past Maastricht, Netherlands. He wants to run until around 2:00am tomorrow morning, over 130 kilometers. 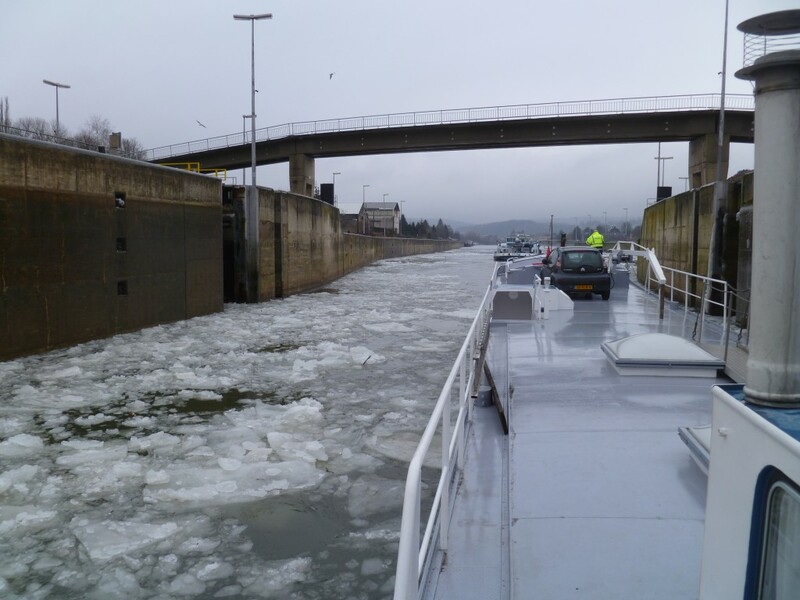 We still plan to fill up in Liege, so that will take about an hour. I noticed that the water coming out of the sink and in the toilet is a little brown. I wonder what that could be? 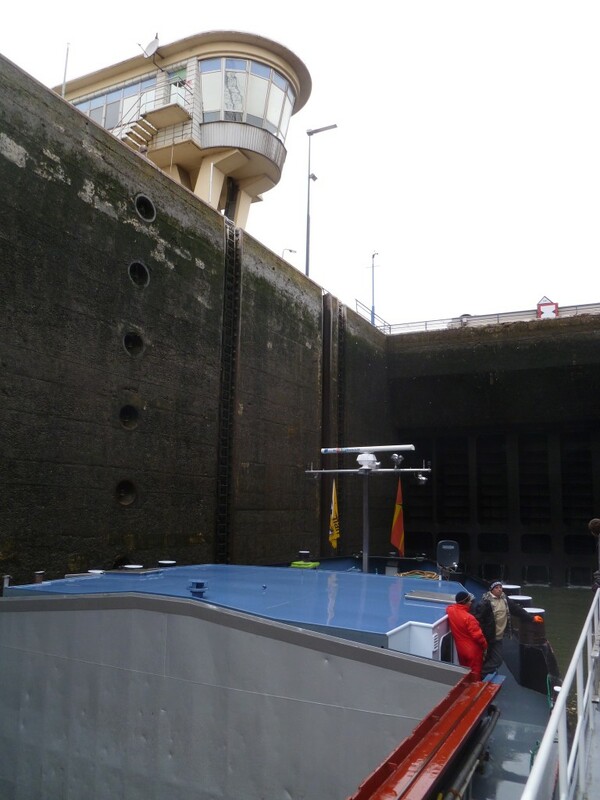 Inside a lock that is deeper than the ones on the Panama Canal. Wilco talking to our friends on Erone. We have been traveling with her since she saved us from the ice. We have made it to Liege without any further problems. Our trusty 6-71 Detroit Diesel is working perfectly turning over at 1,300rpm and pushing us along at 12km per hour. Now that it has warmed up our diesel heater is keeping the interior toasty warm. A few days ago when it dropped below 10 degrees things got a little cold inside. The only problem I see is that we have to run the generator to keep the heater going. That is something I need to have Wilco look at, and see if we can change it so that the heater can run off our batteries. I asked Wilco why we were not stopping for fuel and he said there was a large barge at the fuel dock. We will continue to Maastricht and fill up there. He said it shouldn’t be a problem. 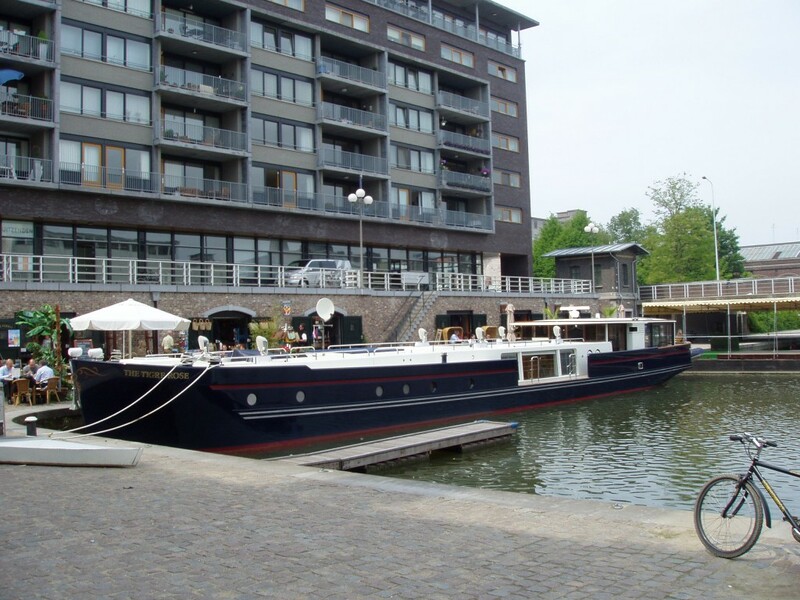 Our old barge Tigre Rose docked at the main basin in Maastricht. When we return I would like to moor here, but I don’t know if Rabelo will fit. 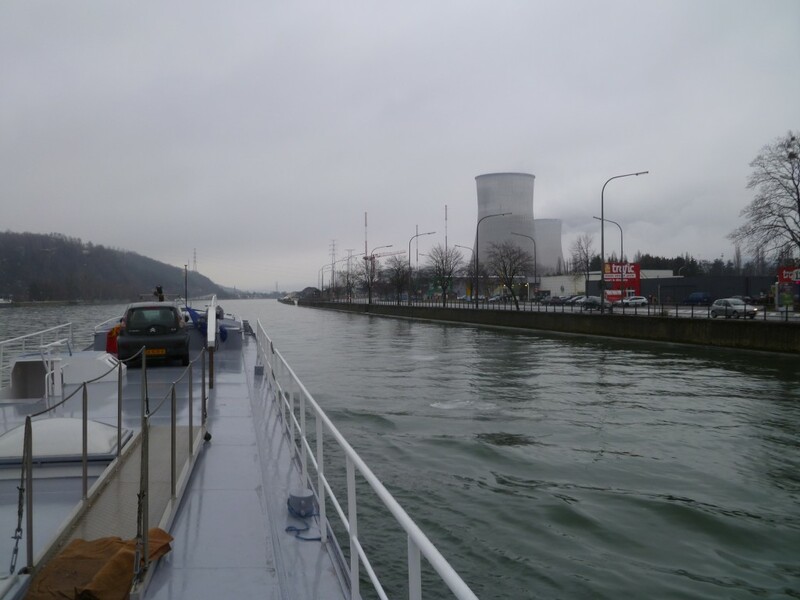 The scenery downstream from Namur has been pretty depressing. 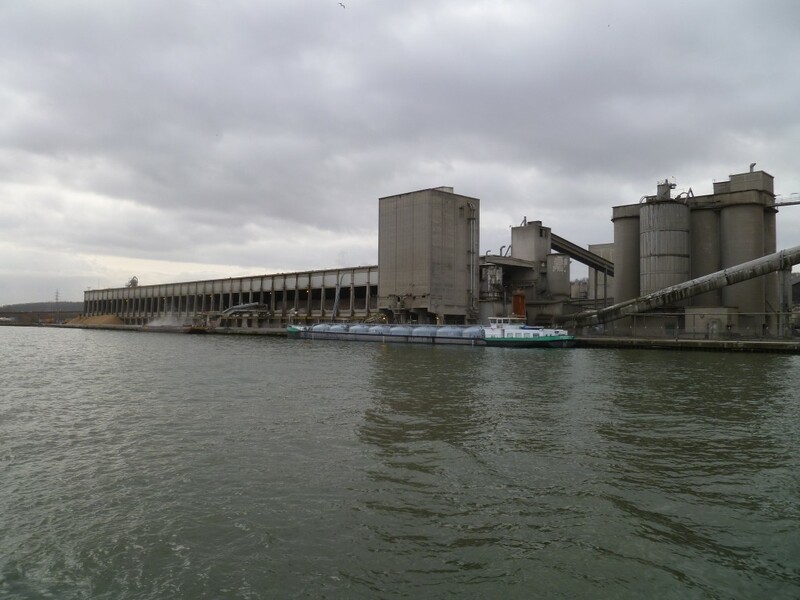 The Meuse River is lined with huge factories of every description. There’s even an atomic energy plant. 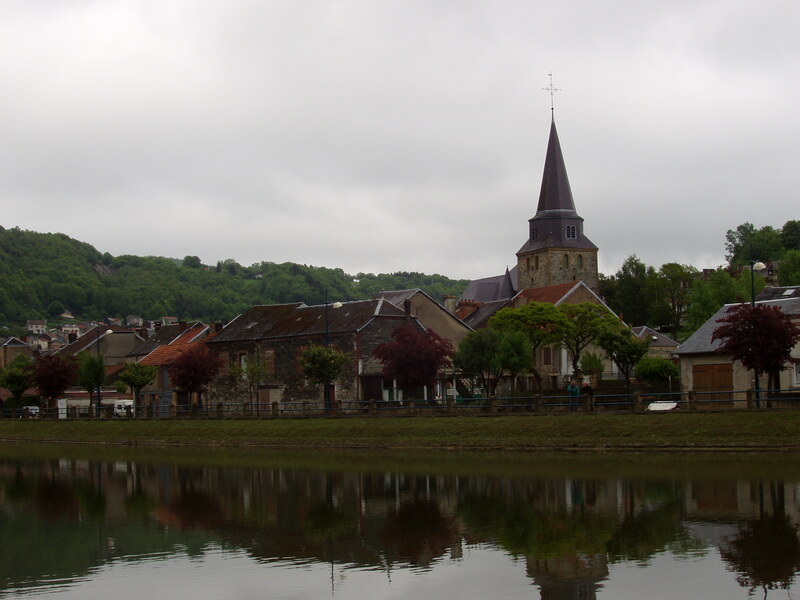 In the spring of 2003 when we were headed in the opposite direction on the Meuse once we past Namur everything changed. The hills were a vibrant green. The river reflected every tree on its banks, and just past each bend was another magnificent chateau, castle or fort. The tiny villages invited us to join them and taste their incredible breads, pastries and oh my god the cheeses. How could I ever forget the cheese? We were not in wine country, but the Champagne Region was not far away. All of France lay ahead, and that is why we bought Rabelo. We want to recapture what we had in 2003 and more. 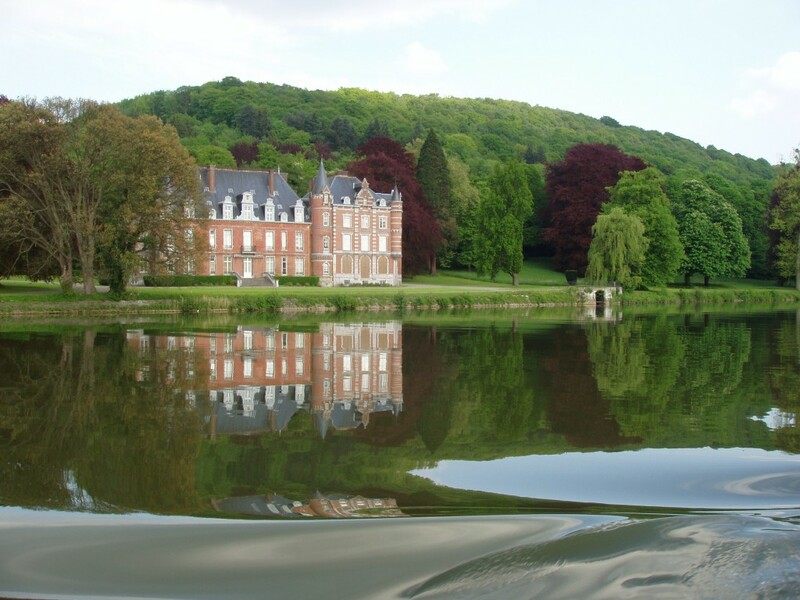 We just love this chateau. Another village that calls for us to explore. 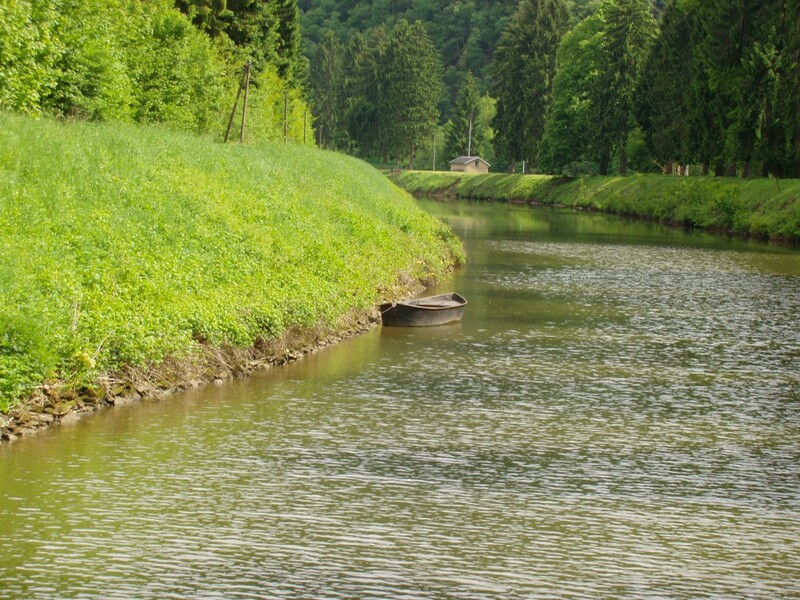 The canals that we look forward to. Right now there are no colors along this river. Everything is shades of grey. Even the river water is black when it is not frozen. Worse, the water coming out of the sink and in the toilet is a little brown. This can’t be good. We did it! We’re free! OMG! What has Wilco done to my barge?